The piggeryindustry isa lucrative sector withhigh profit returns yet it requires minimal capital investments in terms of land and feeds.The piggery enterprise can easily be managed by various groups of people because it is not labour intensive. There is also a high demand for pork and pork products nationally and regionally yet skills in production and value addition are still minimal. This industry has a potential to enhance income and alleviate poverty.Due to the increasing demand in pork and pork products, there is a need to increase pig production to sustain the supply. Therefore the piggery industry offers potential investment opportunities. To produce graduates with skills in Pig farm planning, Structural design and construction, Pig selection, Breeding and piglet management, Pig feeds formulation and feeding, Pig slaughter and pork grading, Pig products processing and value addition, Manure management and bio gas production. 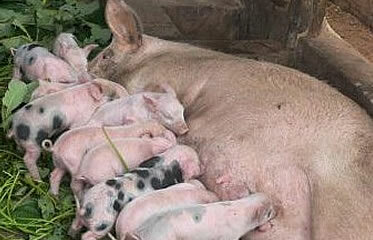 To contribute to the development and transformation of the underutilized pig production sector. To produce skilled graduates who are job creators in pig and related enterprises. Target group: Those interested in building attractive industrial, business, professional and service careers associated with the pig industry.